INTERVIEW with ANT TIMPSON for RIALTO CHANNEL NEW ZEALAND FILM AWARDS. For the third year running Ant Timpson and Hugh Sundae are bringing the New Zealand film industry together to celebrate the diverse collection of local films released in the last year. On Friday, 12th December, over 700 industry types will fill Shed 10 on Auckland’s waterfront; some will stagger into their taxi with a prestigious Moa award in their hand and applause ringing in their ears. 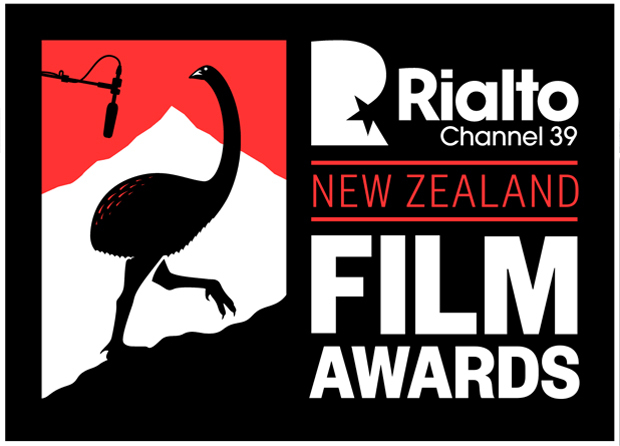 There are 29 categories at the Rialto Channel New Zealand Film Awards this year, covering feature films, short film and documentaries. The competition is tough; there are no sure bets ... OK, maybe one or two. I gave awards producer Ant Timpson (whose film Housebound has received 11 nominations) a quick call to talk about what the awards team has in store for us this year. Don’t forget, if you’re not one of the 700 there on the night, or if you were and want to relive it, Rialto Channel is broadcasting the awards on Saturday 20th December at 5.25pm. RC: So Ant, what can we expect from the show this year? AT: We can expect not a one horse race. I think in prior years it has been quite apparent that maybe one film was going to have a little bit of a sweep. This year there’s so many strong contenders I don’t think anyone is making safe bets on who is going to be crowned winner of whatever category. RC: What do you think that says about the last year in film? AT: That good films were made! I think it’s one of those years' where there was a lot of luck, a lot of things failing into place at the right time, and the films that ran were really diverse in their audience bases. Even though there are similarities between The Dead Lands and The Dark Horse they’re very different types of films and intended audiences. Same with What We Do In The Shadows and Housebound and Hip Hop-eration. I think local audiences have been served well by a really robust, diverse lot of films this year. RC: How are you going to top last year’s opening video? AT: We’re not going to do one, that’s probably how we’re going to top it. We’ve got a real MC this year so we don’t have to rely on opening video sketches. RC: I heard Mr. Sundae had retired, or did you fire him? AT: He fired himself. He was doing way too much to be an MC as well as trying to look after all the technical side of things, so he’s focusing on what he does best which is the production side. Actually, that’s not true, he’s a great MC, but he was juggling too many things and felt it would be better to hire someone who does it for a living. RC: Did you hold auditions? AT: Oh yeah, brutal auditions. We actually had a lot of really crazy ideas for MCs. We’ve ended up with Jesse Mulligan who I’ve seen a few times and I think he will play really well for the room. We’re going for a very droll and sarcastic tone hopefully. I said to him, just watch last year’s and see how loose it is, and we will give him prompts in terms of insider film gags for the room, because it is really an industry event first and foremost, and we need to appeal to them. RC: And it’s bigger this year, you’re going to cram 750 industry types into the room, is that correct? AT: It could even be slightly more, it really depends on how many productions are able to bring their whole teams along, and who’s in the country and what’s being shot but at the moment. It doesn’t look like any members of the public can come because of the size of this year in terms of the amount of films entered and nominees. It’s sad, but it’s also the reality that we can’t really have it too much bigger. We don’t really want to end up with a Vector sized event because we like the intimacy of it. The intimacy of 750 people, yeah! RC: You must be thrilled with Housebound’s success? AT: Housebound’s been great. One thing I was slightly shocked about was that it wasn’t nominated for best score. I think everyone agrees it was a phenomenal score. As with all awards nominations, there are always films that don’t get represented which you think should be in there. It happens every year, not every film can be nominated, but that one was a surprise. It’s interesting to be part of the whole thing as an invested part of it. RC: What other surprises and snubs do you see this year? AT: Well there are a few that look like snubs but they’re actually just films that didn’t enter. Whether they were short films or whether they were certain films that didn’t enter certain categories. What We Do In The Shadows was one of those films. I think it was a decision from Taika Waititi and Jermaine Clement, that wanted to support their crew more than putting themselves up for awards, but that’s probably because they were going to lose. RC: Who does the judging. AT: We’ve got an international lineup of judges from right across the board - directors, producers and cinematographers. We basically have specialist groups of people who have worked on everything from The Great Beauty to Lincoln, to Birdman, to Only God Forgives and Midnight in Paris. RC: So they judge the awards that relate to their specialty? AT: Yes, and for slightly more generic awards [Best Picture] we get a big bunch of those specialists to vote, so you get a wider dynamic of judges on those films that are not so specialised in terms of the awards. RC: Excellent, I’m looking forward to a good night. AT: Absolutely, always a good night. Here is a full list of the Rialto Channel New Zealand Film Awards 2014 nominees. Congratulations to all.